Britain has declared that it will help to protect Nordic and Baltic states from Russia after Brexit. British foreign secretary Boris Johnson said in a statement on Monday (4 September) the UK was a "reassuring presence" for allies facing "Russian antagonism". He said the fact British soldiers had been sent to Estonia as part of a Nato force to deter Russia was "a firm demonstration that Britain will always stand by its allies in the face of outside aggression, and a message to others that the unity that Nato provides and sustains will never be broken". 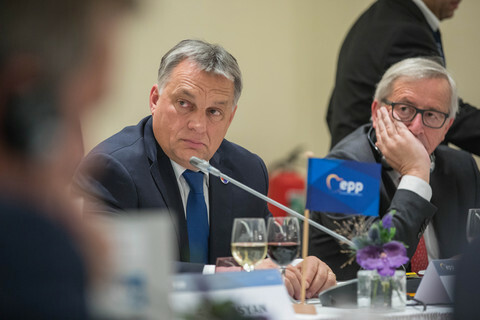 "As we leave the European Union, we will continue to defend and promote our common interests, as we rise to any challenges we face together," he added. The British declaration came ahead of a regional meeting in London later the same day. 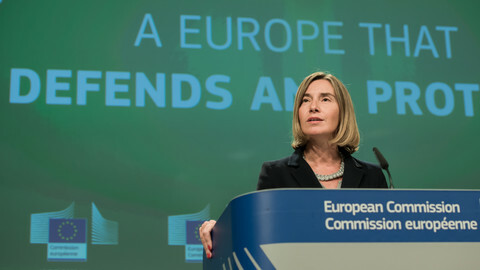 The UK is hosting foreign ministers from EU nations Denmark, Estonia, Finland, Latvia, Lithuania, and Sweden, as well as from non-EU countries Iceland and Norway. Anders Samuelsen, the Danish foreign minister, echoed the UK's Johnson on Monday. "The British are a close partner for Denmark in the EU, including in foreign and security policy," he told EUobserver en route to London. "The UK will continue to be an important player in this area, and of course we will also work together on the foreign and security policy after Brexit. How that cooperation is going to happen, is something that will be discussed later," he added. The so-called Nordic-Baltic Eight event is to discuss North Korea, Syria, and the Middle East Peace Process. But it is expected to focus on Ukraine and Russia amid ever-increasing tension. Russian and Belarusian forces will hold large-scale war games - Zapad 2017 - on 14 September that could involve more than 100,000 soldiers. A similar drill last year simulated a nuclear attack on Poland. Edgars Rinkevics, Latvia's foreign minister, said on Sunday that Zapad 2017 will be "offensive" in nature and will probe Nato's cyber defences. He also told Latvian media that Russia may use the drill for "provocations", such as having Russian jets fly "accidentally" into Nato airspace. Anna Fotyga, a Polish MEP, complained that Russia had violated international protocol - the Vienna Document - by inviting too few outside observers. 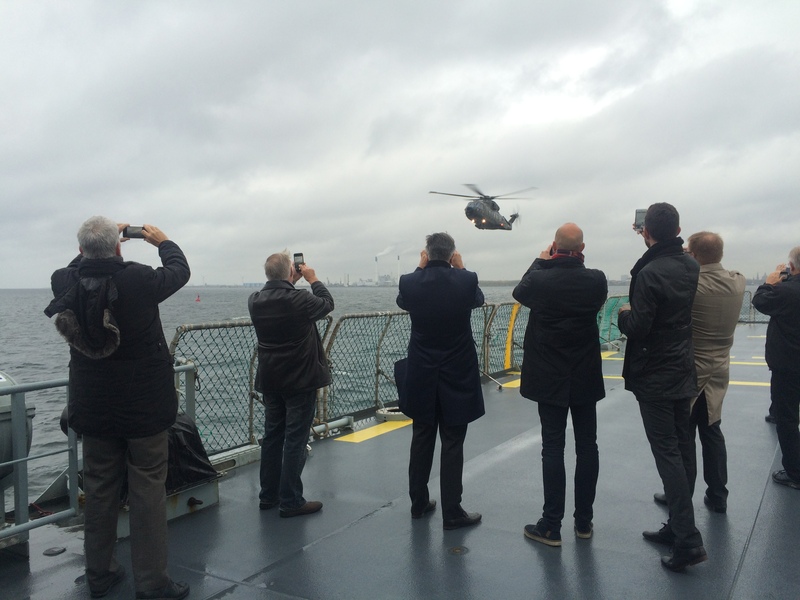 Nordic and Baltic states plan to hold their own drill - Aurora 17 - at the same time. More than 19,000 mostly Swedish soldiers are to take part in addition to units from Denmark, Estonia, Finland, France, Lithuania, Norway, and the US. Sweden is not a member of Nato. But it said last week it would increase cooperation with Nato member Denmark on countering Russian cyber threats and disinformation campaigns. The defence ministers of Sweden, Peter Hultqvist, and of Denmark, Claus Hjort Frederiksen, announced the move in a joint article entitled "Russian fake news - a danger to our countries". They said Russian propaganda made their nations "increasingly unsafe." 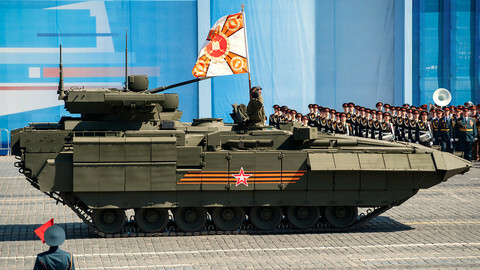 The ministers also cited an increased presence of Russian military vessels in the Baltic Sea region. The Danish government has, separately, proposed to create a new 4000-strong brigade to be deployed abroad. "We must build a brigade that can operate outside the country's borders. In principle, throughout the territory of Nato, but most likely around the Baltic countries. It must be able to defend itself against air strikes", Danish defence minister Claus Hjort Frederiksen told daily Politiken on Sunday. The Danish move comes amid EU plans to create joint rapid reaction forces and amid renewed speculation on whether the US would honour its Nato mutual defence obligation in the event of a Russian attack. Finnish president Sauli Niinistoe said on Saturday that his country's defence chiefs were not relying on EU or US promises. "EU defence is still a long way off, in terms of an objective. It will require substantial changes in attitude, and long-term advancement towards the goal in small increments," he said in an interview with Finnish national broadcaster Yle. "It seems to be the case that Europeans will perhaps slowly have to forsake the notion that Nato and the US provide security, and do something about it themselves. Fortunately, Finland has already made quite a bit of progress in this area," he said. 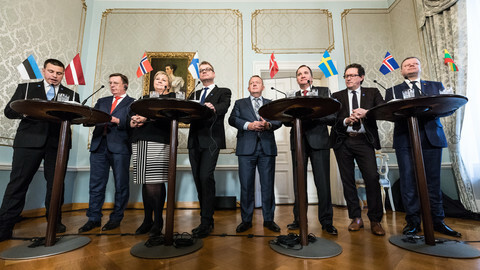 All five Nordic leaders told EUobserver that Europe needs to invest more in its security. 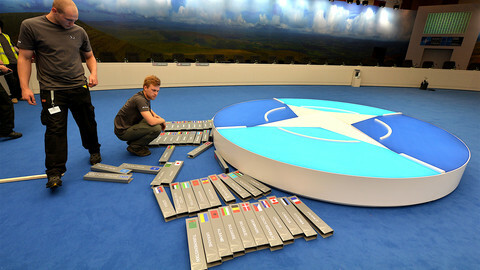 Sweden and Finland want to do it via the EU, but Norway wants to keep Nato centre stage. Finnish and Swedish heads will join a Nato "working dinner" at the summit in Poland, as the non-aligned states forge closer ties with the defence alliance. 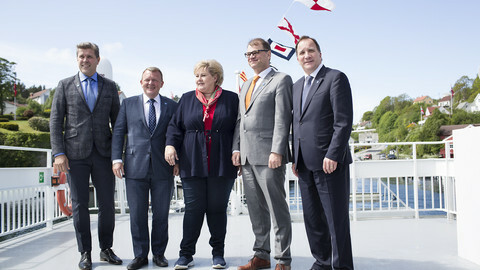 Nordic countries agree to tighten security co-operation, establish secure communication lines and exchange radar images. Russian and Belarusian tanks and infantry surging toward EU borders in a massive war game taking place amid real Russian aggression in Ukraine and Syria. 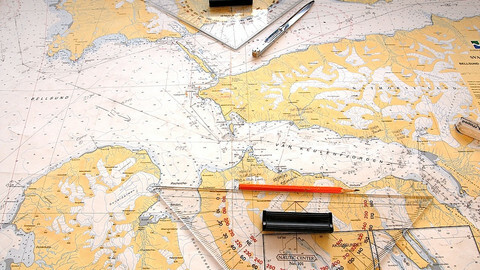 How Northern European countries prepare for future navigation between Germany and France in a new European power balance following Brexit.